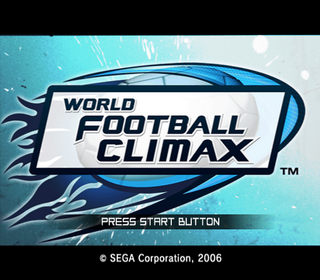 Virtua Pro Football, known as World Football Climax (ワールドフットボール クライマックス) in Japan is a football game published by Sega for the PlayStation 2. It was not released in North America. Main article: Virtua Pro Football/Magazine articles.